Both of my children started yoga a few months ago. For years I have heard that yoga can be beneficial for children with special needs and especially for kids on the autism spectrum but I wondered how my children would do. My little man can’t sit still for more than a minute and has a hard time staying focused, getting distracted by objects in a room and sounds outside. On the other hand my daughter struggles with motor planning, has low muscle tone and difficulty with coordination and balance. I practiced yoga a few years ago and I really felt that yoga had helped me manage stress and anxiety better and had improved my flexibility but I do believe it’s all depends on finding a good teacher so I was thrilled when, without looking for it, I met someone who seemed like the perfect fit for my children. 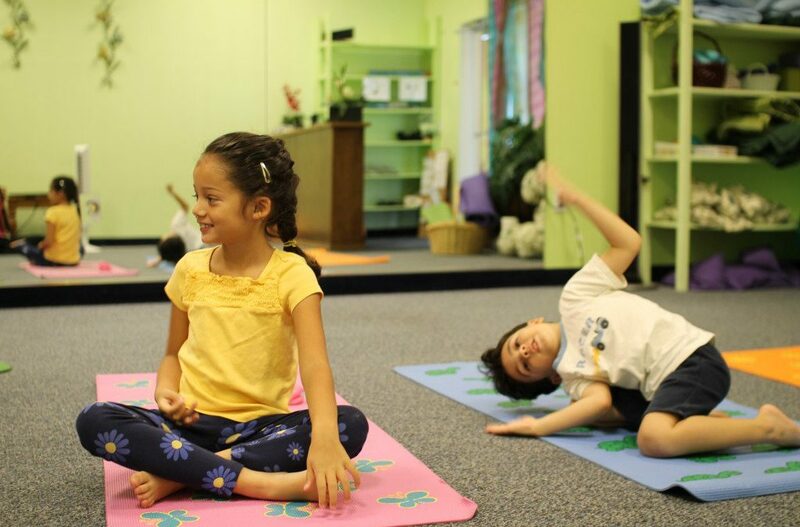 Yoga classes for children with special needs usually include an integrated series of balanced yoga poses, specialized breathing exercises, and relaxation techniques. Because children are visually oriented, many teachers add a visual element like using yoga cards for children or having a colored picture of each pose so that the child can have it near his or her mat. This is also helpful for children who may have language-based learning disabilities. Calming benefits: children learn self-calming through breathing techniques specifically intended to help children contend with their escalating emotions. Yoga helps them relax their body and their mind. Self-Awareness: yoga helps children become more self-aware of their bodies and of their emotions, and gives them coping skills when they feel anxious, afraid or stressed. Kids in the yoga classes become more aware of others as well, interacting and making eye contact more often. Enhancing Concentration: yoga can improve concentration and reduce hyperactivity. Children learn how to sit still in one place and focus on what’s important as opposed to letting their mind wander and be distracted easily increasing their attention span. Self Esteem: when children improve their agility and flexibility, it does wonders for their confidence. In the few months since my children started yoga we have seen a huge improvement in my son’s ability to focus, he is more aware of his feelings and his ability to self-regulate has improved. My daughter has gained strength, improved her balance and flexibility and we have seen some improvement in her ability to motor plan. Yoga was the right fit for my children, maybe your children can benefit from it as well.